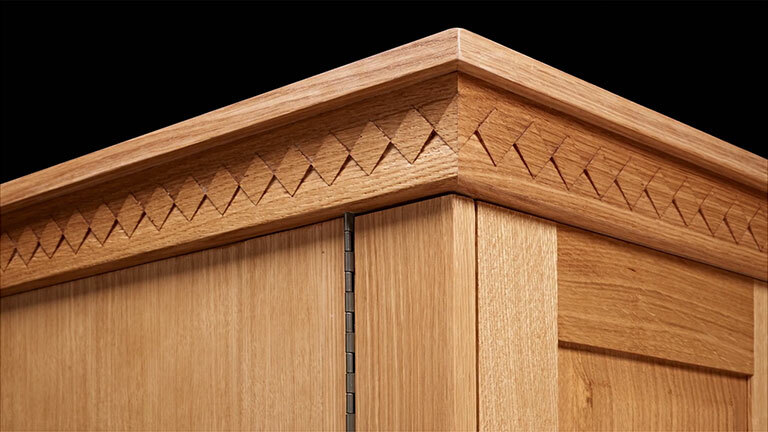 "Carved molding" usually means complicated profiles using a number of specialized tools. Chris Fitch demonstrates the process for carving an English Arts & Crafts style molding. The only tool you need is an ordinary bench chisel.